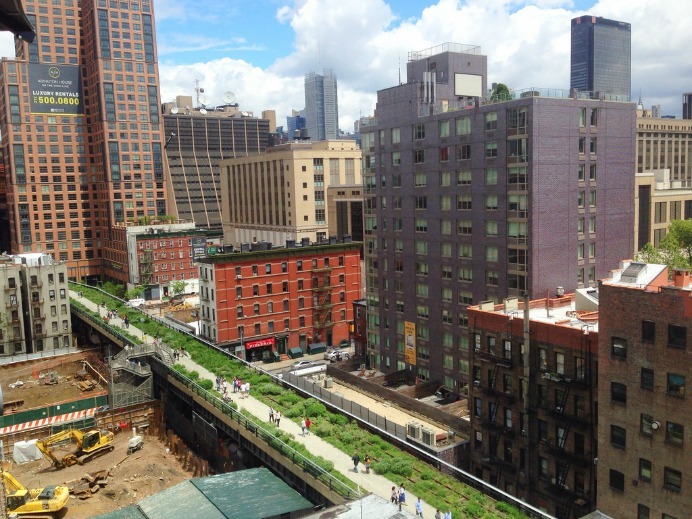 The High Line in New York City is a 1.45-mile-long structure built in the 1930s to carry freight trains. It runs from the Meatpacking District, through West Chelsea, and ends at 34th Street, next to the Jacob Javits Convention Center. The last train ran on it in 1980. It is now being remade into a landscaped set of gardens right in the middle of the city. 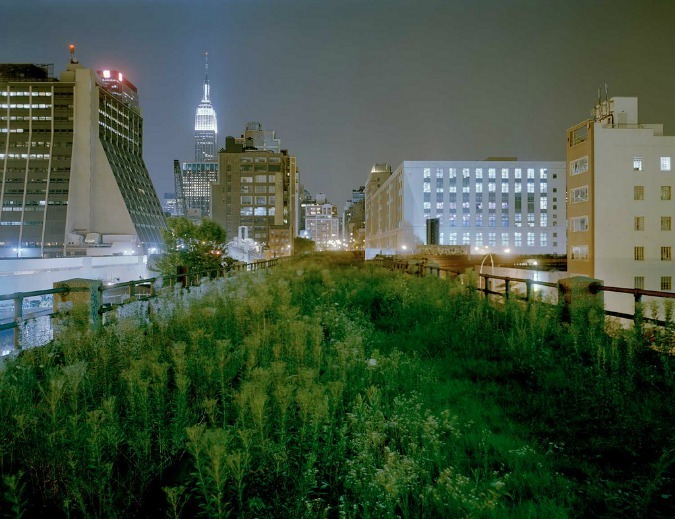 The plants were specifically chosen to be like those that grew naturally when the rail line was abandoned, so that it gives you the feel of what the city would be like without people. Some of the original rails are left in place and the concrete has been designed to evoke the shape of the old wooden ties. Some areas have seating and lounge chairs with wheels on them that ride the rails. 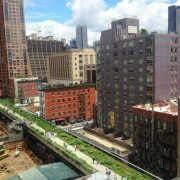 The first section, from from Gansevoort Street (between 10th and 11th) to 20th Street is now open. (source).